Celebrating Mayor Caldwell's signing of the Age-Friendly Honolulu ordinance, October 11, 2018. 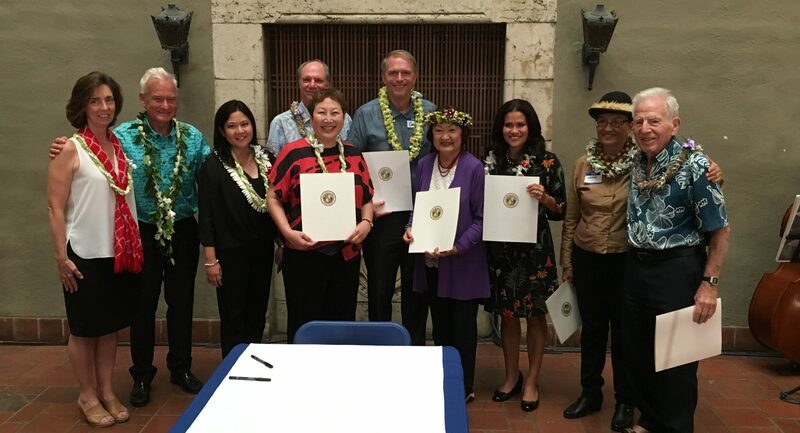 On October 11th, 2018, the Age-Friendly Honolulu Initiative celebrated a milestone event, Mayor Caldwell’s signing of Bill 54 (2018), Relating to Age-Friendly Honolulu. 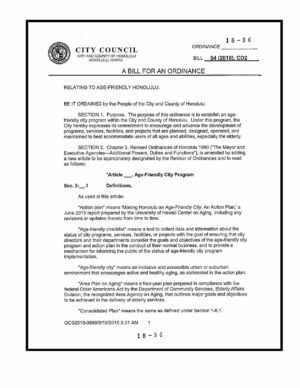 The passage of this ordinance signifies a commitment by the City and County of Honolulu to be “age-friendly”. 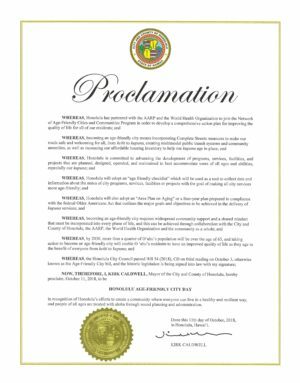 In addition, the Mayor signed a proclamation that October 11th 2018 will be Honolulu Age-Friendly City Day. The World Health Organization says an Age-Friendly City is a place that enables people of all ages to actively participate in community activities. Such a place treats everyone with respect, regardless of their age. It makes it easy to stay connected to those around you and those you love. It is a place that helps people stay healthy and active even at the oldest ages. And it is a place that helps those who can no longer look after themselves to live with dignity and enjoyment. 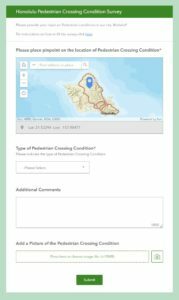 Please take the Pedestrian Crossing Condition Survey to provide input on pedestrian conditions in the City and County of Honolulu.